Remember them and read on. One of today’s answers sees the second appearance of Jane Austen’s Pride and Prejudice (also chosen in Interview #8 by J.L. Hendricks). Three of the book choices will give you the answer to my question at the top of the page. Good people of the Internet, without further ado, Ami Black. Do Androids Dream of Electric Sheep? 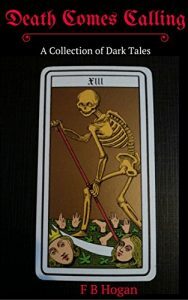 It’s original, philosophical, and asks some interesting questions all while being entertaining. Fans of Blade Runner would love it since the movie is based on the book. If you are into robots or technology you’ll find it interesting. Hate to say it but, Twilight. I wasn’t expecting much with the story, and while cheesy it did hit some points which is why I think it resonated with such a wide audience. EXOTIQA, because it is about a world where robots are part man and men are part robot. I love blurred lines and I love technology and being able to incorporate the two was real interesting for me. Pride and Prejudice, because Jane Austen was a brilliant writer. A woman. She lived in a time where everything was dominated by men, yet she managed to get her stories out there and read. Divergent, because the author was very young and inexperienced when she wrote it, and a woman. I think that gives hope or inspiration to every woman trying to make it in the business. It is also very original, I thought, and entertaining. EXOTIQA or Simulation, because they are both first book in a series and will give the reader a good idea of the type of stories I write. 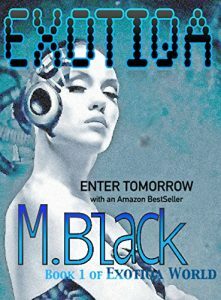 M.Black is passionate about the Earth, animals, robots and technology. You will find all of these concepts as parts of the themes used in her brand of books ENTER TOMORROW. 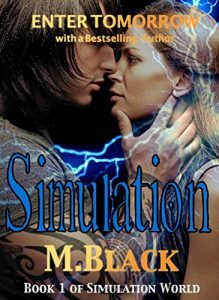 M. Black loves to explore future worlds that are falling apart and she likes to keep the reader guessing. M.Black is usually writing on her MAC, taking care of her two cats LOTUS and ASH who show up in her books Exotiqa and Simulation, cooking her favorite vegetarian dishes like veggie chili and lasagna, or watching her favorite shows. OA, Stranger Things, Mr. Robot, The Expanse, are just a few. After graduating UCF in English, she travelled Asia for eight years teaching English. She began writing novels in 2009 and publishing on Kindle in 2010. 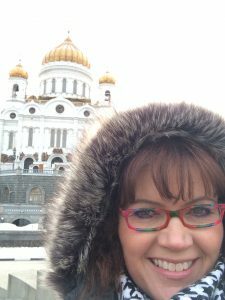 Good people of the Internet, for edition number eight of the One Book Interview series, please welcome an author who writes in many genres, has served in the US army, penned a best-seller, speaks Russian, and who is, I suspect, a die-hard romantic – J.L. Hendricks. Death Becomes Her by Michael Anderle. This book goes against so many grains, and yet is a huge hit! 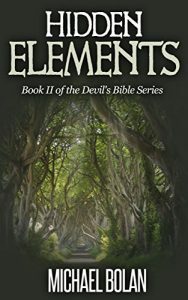 Almost everything a writer is told not to do, is actually done in this series! It’s such a fun series readers don’t even realize all of the “don’ts” of writing. Date Night on Union Station. It’s a fun and clean read that is really smart and entertaining. Now I want to write a series based on a space station. Reminds me of Deep Space Nine, but with romance. My two favorite books happen to be in one series. 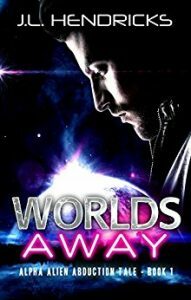 Worlds Away is such a fun story that sets up a very intricate arc and universe where so many things are possible. Paris is one of my favorite characters and she has developed so much since I first created her. Inside this universe, my next favorite book is Worlds Explode. It’s a novella about an Army wife, Maddie, who lost her husband to war. Now she’s fated to mate with another warrior, only he’s from a different species. A fun and heartwarming story of love, loss, and finding love again. Pride and Prejudice. I have read this many times. I also have three different versions on DVD and watch the 5 hr. BBC version often. Because of Jane Austen, I know that true love is out there and I shouldn’t settle for a “happily for now” kinda man. I should wait for the one who curls my toes and makes me feel like a queen. Maybe even a man who’s willing to fight for me. I hate to repeat a book, but I must. Death Becomes Her, Book 1 of The Kurtherian Gambit series has really influenced me as a writer more than anything else has. Since I first started writing in February 2016, I have heard all of these things you aren’t supposed to do, like tell a story in third person from various POV’s. Well, there a ton of authors doing it and selling like hotcakes. You must release once a year is another myth that was busted by Michael. The list goes on and on. Miss Claus and the Secret Santa is the first book of mine that made International Bestseller Status on Amazon by itself. It’s a fun Christmas story that tells the “truth” about Santa Claus. LOL I tend to really get into my stories and let everyone know that the legends in my books are actually true, and the perspective of my characters is how you get the absolute truth of the story. In this case, it’s the truth about Santa. In the case of Roswell, you will find out the truth if you read the Worlds Away series. 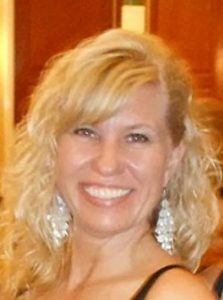 For installment seven of the One Book Interview, I’m happy to present an American author who writes (and reads!) young adult fiction, supernatural, fantasy sci-fi, and dystopian novels – all with a twist of romance. Good people of the Internet, please give a rousing One-Book-Interview welcome* to one of New Mexico’s own: Casey Hays. The Book Thief by Markus Zusak. This is a moving tale told by Death. It’s a story about life and love and respect for humanity. It left me speechless, and the last line of the book is a favorite of mine. Very compelling. The Angel Series by Sharon Shinn. This series would be perfect for an off planet continual read. Full of hope and a great love story, too! Little Bee by Chris Cleave. I was very surprised at how much I enjoyed it. It’s a dark, quirky story about a Nigerian orphan who ends up in Britain. Her story is quite touching. 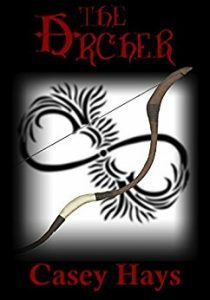 Probably The Archer, the second book in my Arrow’s Flight Series. It’s the bridge book between books one and two, and it’s just full of emotion. I think I did a decent job with imagery and made my readers feel something amazing. The Bible – I’m a Christian, and God’s word is the greatest influence over every decision I make. Anything by Shakespeare – I truly believe his works are the greatest literary treasure next to the Bible. You want to see humans screw up and get redeemed… or justice perhaps? Read the Bible first, then read something by Shakespeare. Breeder: Arrow’s Flight 1. I have a full series planned and the first of four novellas in this series published so far. Casey Hays lives in New Mexico with her husband and two children. She is a former high school English teacher turned author. She loves Young Adult Fiction as well as supernatural, fantasy sci-fi, and dystopian–all with a twist of romance. 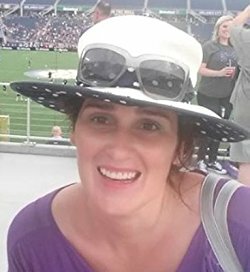 She is the author of four works: “The Cadence” a YA supernatural romance, and Arrow’s Flight, a YA dystopian sci-fi series: Breeder, The Archer, and Master, which released on January 15, 2016. Her short story “Edge of a Promise” is featured in the collaborative anthology PREP FOR DOOM, published June 18, 2015. Currently, she is working on a series of novellas for Arrow’s Flight, as well as a YA supernatural romance based on the legend of the Phoenix. 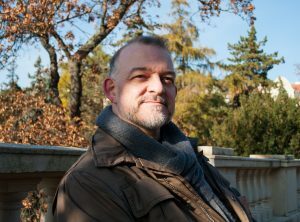 Continuing the One Book Interview’s gaelic theme (last week we featured an Irish author living in Prague), today, we have an author and poet who lives deep in the heart of Ireland (Where the Fianna dwell). Good people of the Internet, may I present the fabulous Fiona Cooke Hogan. The Lord of The Rings by JRR Tolkien. No question, a masterpiece of world-building, language creation and old lore, rich with wonderfully believable historical detail. This book awoke the writer in me and has continued to stay in my heart ever since I first read it at age 11. Well, I couldn’t be without Tolkien, could I? But I would also squeeze in Jonathan Strange & Mr Norrell by Susanna Clarke, another fabulous tome of a book about magicians in England during the Napoleonic era, filled with wonderful stories on faerie, The Raven King and just a joy of quirkiness and lyrical beauty. Vernon God Little by DBC Pierre. I don’t normally read a book just because the arts reviewer in the Sunday paper says it’s got potential, but the blurb sounded interesting. A lonely teenager caught up in a high school shooting and it’s funny! A crazy, hilarious yet poignant piece of modern writing. Well worth the borrow, download or physical purchase. Death Comes Calling by FB Hogan. 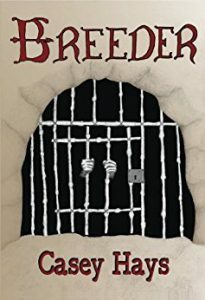 A small collection of dark fiction in the style of Edgar Allan Poe and HP Lovecraft, I wrote these stories during October of last year and published the novella just before Hallowe’en. These stories were a labour of love, gothic horror is by far my favourite genre and I am presently writing a horror set in Victorian Britain. The Lord of The Rings by JRR Tolkien. I admit to being a Tolkien obsessive (I have his words in elvish tattooed onto my arm, yes, seriously). Every year I dust down my old paperback copy and escape into Middle Earth. His writings fuelled a longing for creativity, for belief in myths and legends and a huge love of nature. I see his Shire in the fields and the forests as I walk and can only hope that my writing reflects my love of nature as well as his cleverly crafted words. The Stand by Stephen King. This book is huge, it’s dark, dystopian, allegorical and yet hopeful. King’s forte is to put ordinary individuals into crazy, bizarre situations and watch how they perform, this never fails to impress me. A consummate professional, he writes every day. I would like to think I could create such a masterpiece were I as disciplined in my writing habits. 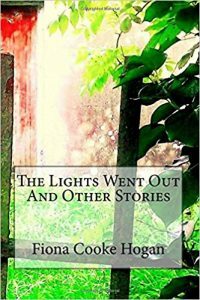 The Lights Went Out and Other Stories by Fiona Cooke Hogan. 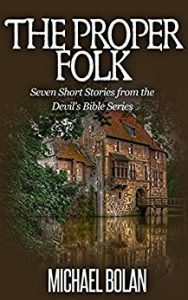 A quirky mix of genres, this book is a good place to get a feel for my writing with short and longer stories ranging from romantic fiction, fairy tales, humorous and supernatural pieces. 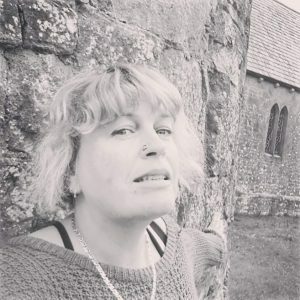 Fiona Cooke Hogan is a Laois based writer, poet and blogger. She has been writing since childhood and takes inspiration from her everyday life and experiences. Her novel “Martha’s Cottage” will shortly be out on Kindle and she is currently working on her second: a horror story as yet untitled. When not scribbling away she is an avid reader and self confessed addict of Tolkien, Game Of Thrones and The Walking Dead. She dreams of playing one of the undead in a George A Romero production. People of the Internet, may I present Mr Jim Marquis. Stranger in a Strange Land by Robert Heinlein (it will give you a fresh perspective on religion and the whole messiah concept). The Stand by Stephen King (because it’s a great long novel with many, many characters to enjoy and follow). Big Brother by Lionel Shriver (I grabbed it off the bargain table at Barnes and Noble one day while I was waiting in the check out line, it ended up being one of the best novels I’ve read in the past thirty years). 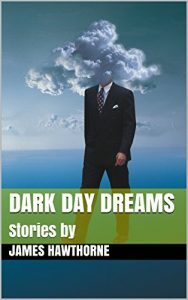 Dark Day Dreams (under the pen name James Hawthorne) Favorite because it’s my first collection of short stories and at this point I feel like that’s the format where I’ve done the strongest work. The Handmaid’s Tale by Margaret Atwood (because it helped me understand how fascism and rampant sexism can be so easily justified with religion). Fight Club by Chuck Palahniuk (it helped me see how an unorthodox writing style can breathe life and excitement into any storyline). James Hawthorne (actual name James Marquis) was born in 1957 and grew up in eastern Oregon. 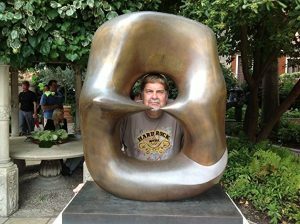 He graduated from the University of Oregon in 1980 and worked in telecommunications from 1981 to 2011. He and his wife Rosemary live in the Seattle area. He’s always been interested in pop culture, politics, music and literature. He enjoys writing because it provides an outlet for his desire to explore and expose the ways these different factors help shape our everyday lives. You can find Jim on his Amazon page.